Lisa trained at the Bristol Old Vic Theatre School and has worked extensively in many major theatres throughout the country including Leicester, Bristol Old Vic, Leatherhead, Plymouth, Salisbury, Harrogate, Windsor, Manchester, York and many more – in plays including: The Rivals, La Ronde, The Constant Wife, Ghosts, I Have Been Here Before, Relatively Speaking, Moll Flanders (title role), The Comedy Of Errors, An Ideal Husband and Blithe Spirit. West End includes Rick’s Bar Casablanca and Cavalcade. Tours have included Hay Fever, Blood Brothers and The Circle for Oxford Stage Company. Also All Our Hellos and Goodbyes (a play commissioned to celebrate the re-opening of St Pancras Station), The Bear (Maltings Farnham), more recently a lost J.B. Priestley play The Roundabout at The Park Theatre, London – which has also had a run as part of the Brits off Broadway season in New York, and a new political play An Honourable Man which had a sell-out run at The White Bear in Kennington. Television includes: Casualty (first two series as paramedic Sandra Mute), Doctor Who (Survival), The Vision Thing, The Count of Solar, McCallum, Bad Girls, Night & Day, as well as Doctors, Spooks, Hollyoaks and Coronation Street. 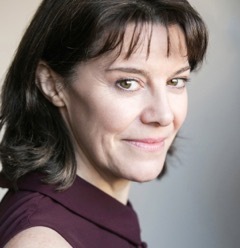 Lisa has recorded many plays for BBC Radios 3 & 4 and Independent Radio Drama Productions, and has for the last 20 years played the title role in the Doctor Who spin-off audio series Professor Bernice Summerfield for Big Finish Productions, as well regular characters in their series of Sapphire & Steel and Jago & Litefoot, and many other guesting roles – most recently Regan in King Lear (with David Warner). She is also a prolific audio drama director, having directed many series for Big Finish Productions, and other companies; most recently an adaptation of H G Wells War of the Worlds titled The Coming of The Martians, starring Colin Morgan, for Sherwood Sound Studios.